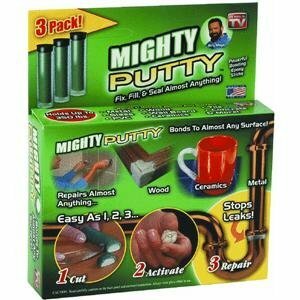 Get the kit the Pros Use! Heat Tool Included! 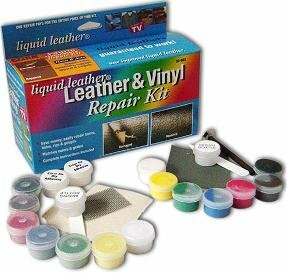 Professionals make fast, easy repairs to leather, vinyl and naugahyde because of the special heat tool in their kit. This same tool is now available to you in your Liquid Leather repair kit. You can repair holes, rips, tears and burns in minutes. The repair compound colors mix to all popular shades. The colored repair compound is applied into the damaged spot, covered with a grain texture paper, and the paper is heated with the special electric heat tool in your kit. When cool, the grain paper is peeled off, and the repair is finished. Heat causes the repair compound to turn into a leather like material. . . the grain paper puts the texture in the repair compound. You can repair auto and boat seats, car tops, luggage, dashboards, office furniture, leather jackets. . . anything made from genuine leather, vinyl, naugahyde and plastic. Note : The repair is made without removing the leather or vinyl . . it is done right in place.